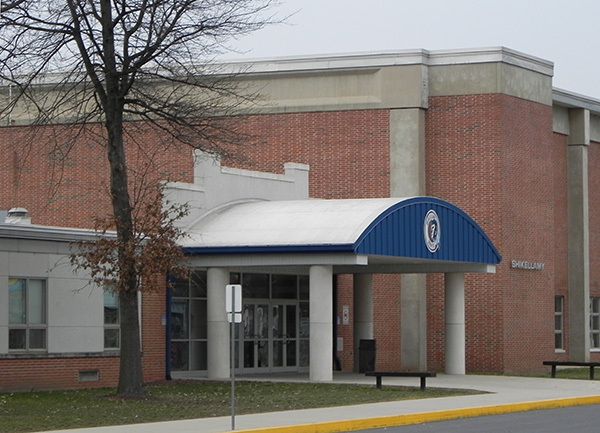 Amidst all the brouhaha surrounding the Shikellamy bullying investigation, one fact appears to have escaped almost without comment – police have been called to the school over 100 times in the last year alone – this translates into several visits per week during the school year. Apart from the obvious problems at the school, this also involves a tremendous strain on Sunbury PD resources. It is not just the time spent at the school, but the even longer time spent afterwards writing up reports, attending court, etc., at an annual cost to the police budget of many thousands of dollars. We understand that there are many factors contributing to the present situation. Having the middle school housed in the high school is one of them. Another factor results from changing local demographics – with more big city kids moving to Sunbury, and bringing with them their own big city attitudes and issues. Not The Item has a suggestion which should be given serious consideration by Superintendent Kelly and by the School Board – appoint a dedicated School Resource Officer. This would be in the form of a full-time fully trained and qualified police officer, a member of Sunbury PD seconded to the school. Milton already has such an officer, and they are delighted at the results being achieved within their own school system. Sunbury Police Chief Steve Mazzeo calculates an initial annual cost of $60,000. The School District may claim that they don’t have the money, but they seem prepared to happily spend $1 million on a new all-weather football field, and the question has to be asked of them – which issue is the more important, the safety of school students or the installation of a plastic playing surface for the school stadium? $1 million would fund a resource officer for around 16 years. The officer could be employed 12 months of the year at the school, or perhaps an arrangement could be put In place to have them work the summer months as a regular member of Sunbury PD, thus relieving the school board of part of the costs entailed. To get an officer appointed in time for the start of the next school year, it would be necessary to have an agreement in place prior to the start of the summer vacation period. Had a Resource Officer already been working in Shikellamy, escalation of the bullying problem could have been prevented. Part of the officer’s duties would be to proactively deal with school issues as they arose. They would be responsible for maintaining order and discipline, securing the safety of staff and students, preventing crime, and investigating incidents, as well as (most importantly in the light of recent tragic events elsewhere) ensuring that visitors to the school are not able to gain unrestricted access before establishing their bona fides. On a more constructive side, they could also help with drug and gang activity awareness programs, as well as offering advice on other issues and helping students gain a better understanding of the law as it pertains to them in many areas of life, and also a better appreciation of and respect for the role of police officers in our society. Chief Mazzeo wants it to be known that his door is always open, and that he will be more than happy to meet with Superintendent Kelly and/or members of the School Board, either in person or during a regular board meeting, to discuss these issues more fully.